About Us | Morey's Music Store Inc. 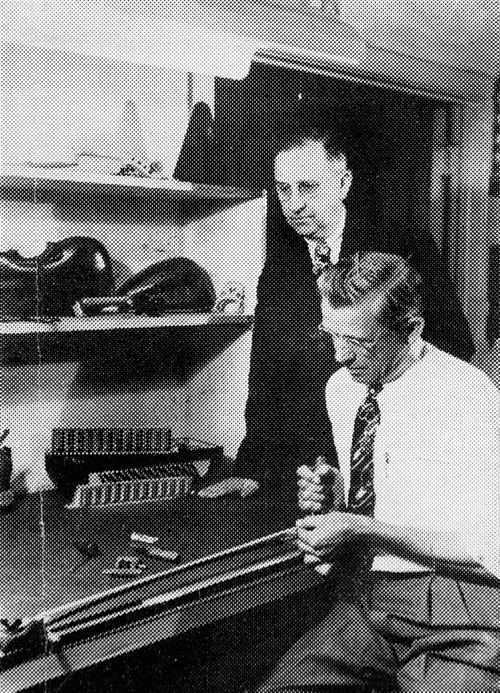 The founder of Morey’s Music Store Inc., Clarence Morey, got his start in the music industry while living in Chicago working as a salesman for the RCA Victor Company. After building his reputation in the industry, Clarence secured a position at Rothschild’s Department Store as head of the phonograph, record and musical instrument department. Clarence managed the music department at Rothschild’s for 6 years, beginning in 1916. In 1922 Clarence hired Miss Allie Lois Cook, from Grand Cane, Louisiana who would later become his wife. Miss Cook had graduated from Judson College in Alabama with a bachelor’s degree in Piano Performance and Music Education. When Rothschild’s was sold to Wilson Packing Company, in 1923, Clarence accepted an offer from the Brunswick Company to be their West Coast sales manager. This new position required a move to Los Angeles and lots of travel. Clarence’s mother, who lived with him, asked that Miss Cook come out to stay with her while he traveled. A short romance followed and September of 1924 marked the beginning of a long, happy marriage for Clarence and Allie. Clarence had an opportunity to purchase the inventory from a closing music store in Long Beach, and on December 1, 1924 Morey’s Music Store opened for business in downtown Long Beach. Merchandise for sale included pianos, musical instruments, records and phonographs, sheet music and accessories. Clarence and Allie operated the store together until 1925, when the first of their five sons was born. Mr. Morey recognized that there was a need for rental pianos, something no store was providing at the time. The rental program was later expanded to include musical instruments of all types. Providing instruments for rent helped encourage school music programs efforts to get more children involved in music. Morey’s Music was moved to 137 E 4th Street in the late 20’s, and moved again to 436 Pine Avenue in the early 30’s. By then the store had grown to employ 16 people and had added teaching studios. The teaching program was used to develop both a store band and an orchestra. The band marched in downtown parades and the orchestra performed recitals. From the beginning Mr. Morey wanted to be equipped to service the products his firm sold and rented. Professional repairmen were hired and developed for all the musical instruments provided by Morey’s. Clarence nursed the Music Store through the Great Depression and remained open following damage from the Long Beach earthquake of 1933. The years following were difficult; many people left the area after the earthquake, and growth was slow until the war era. When America entered World War II, Clarence had the foresight to be heavily stocked in European made instruments and accessories. This allowed Morey’s to have inventory to meet demand for musical products throughout the war. In 1942 Morey’s Music Store moved to 342 Pine Avenue in Long Beach. This was to be home for 37 years. During this time Morey’s grew in the sales of fine instruments of all kinds and the piano sales and rental departments were enlarged to meet the demands of customers. In 1979 Morey’s moved to 800 Pine Avenue in Long Beach due to the “redevelopment” in the downtown area. Business was continued at this address until 1985 when we moved to our current location at 4834 Woodruff Avenue in the city of Lakewood. In 1979 John’s son, Jonathan, joined the family business. In December of 1993, his brother, David, joined the firm. 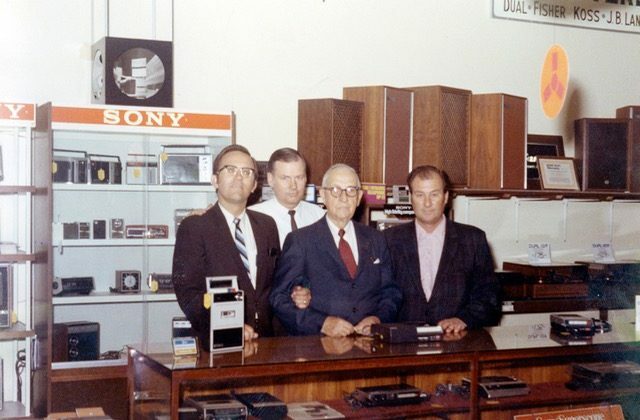 They are the third generation of Morey’s to continue the family ownership and management of Morey’s Music Store. Today there are nine Morey’s involved in the business in various capacities. 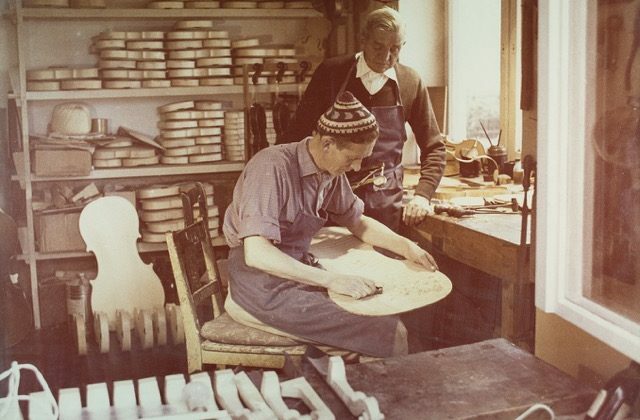 Clarence Morey worked until his 99th year and lived to be 100 years old. His son Thomas retired in 1993 after 30 years. 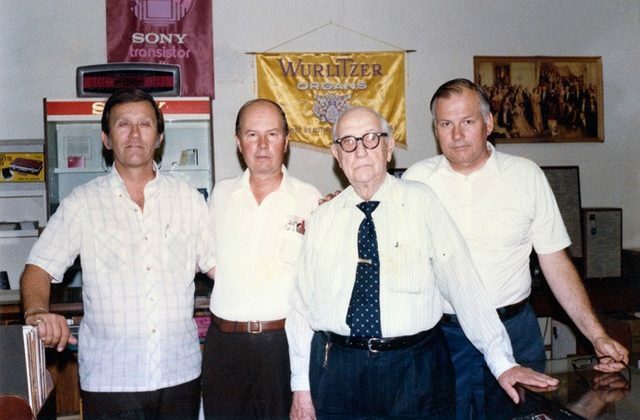 Robert and John retired in 1994 and 1998 respectively, both having spent 53 years in the family business. 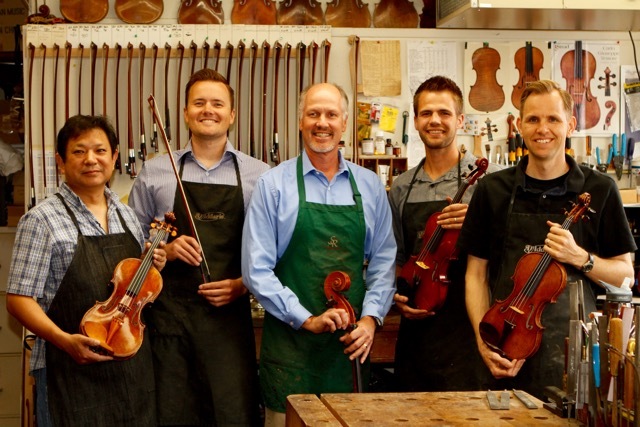 Three fourth generation Morey’s are involved in the repair and servicing of orchestral string instruments. Greg, Alex and Erik have received training from their father and uncle, Jonathan Morey. Erik has apprenticed over 8 years with award- winning resident violin makers Shiquan Zhao and Gerrit Maurer. 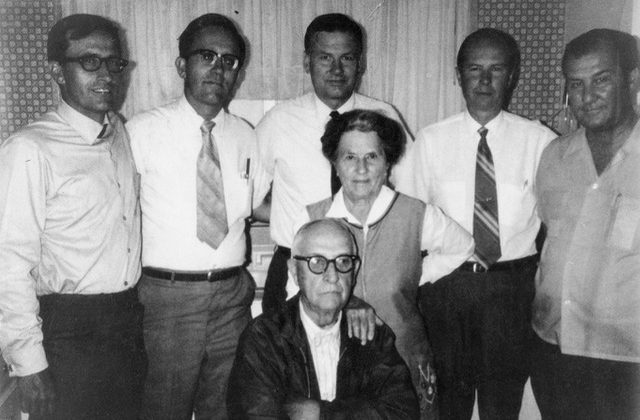 The “Morey’s Family” has been blessed to include many excellent employees in our 90+ years of business. Some have been with our firm for 20, 30, and 40 years. We are thankful to the Lord for His gracious help and guidance and are grateful for our continued success. Though our years in the music industry have seen us through many transitions, we remain family owned and operated and dedicated to serving our customers. Thank you for all of your business and support; we look forward to serving you for years to come.